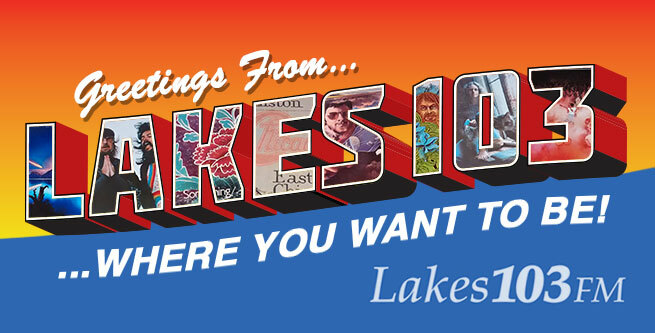 Lakes 103 | It's where you want to be. all day, all night, all commercial free! Weekends were made for Lakes 103. We know you love it here in Lakes 103 listening-land. So do we! That’s why we’re blastin’ out your favorites of the ’60s, ’70s, and ’80s, with zero commercial interruptions! We want to hear from you! Call us anytime at (320) 364-2030, and let us know what you think of Mora’s new Lakes 103 so far. We might even put your call on the air! Interested in volunteering? We’re always looking for dedicated, talented individuals to help us keep Lakes 103 running right. On-air and off-air help is welcomed… no radio experience required… opportunities available to fit any schedule. Contact us for details!